Chains Of War is released! Get it on MatrixGames and Steam ! 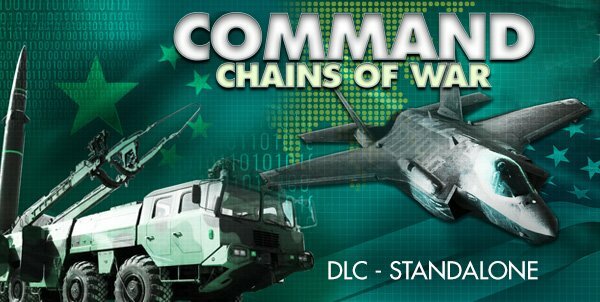 The Command v1.12 update, and its companion “Chains Of War” DLC pack are now in the home stretch for their May 18th release. We covered the new groundbreaking features in the DLC, such as communications disruption, aircraft damage , the new weapon types and the immensely popular cargo, amphibious and airdrop ops. Ultimately though, it’s the scenarios that drive a simulation’s narrative. So let’s take a look at the campaign and standalone scenarios comprising the new DLC release. Blue Dawn: The uneasy “peace” that has lasted for 65 years across the Korean DMZ is about to be shattered, as the DPRK is mobilizing for an all-out attack. NK preparations have not gone unnoticed, and now that the war-warning indications are unambiguous, South Korean forces must put decades-old contingency plans into effect. 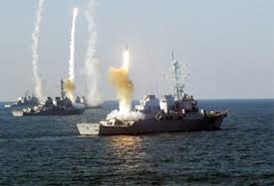 North Korea enjoyed a great deal of military and public relations success in 2010, with the sinking of ROKS Cheonan and the artillery strikes on Yeonpyeong island on Korea’s west coast. Not only did the North Korean public perceive them as military victories but South Korea, US and Japan were perceived as weak and malleable by demonstrations of force. It was a lesson that a now nuclear capable Kim Jong-un would try and leverage again. Unfortunately for him, forces south of the DMZ were in motion as well to beat him to the punch. The first task was to preemptively strike at the most immediately threatening elements of the North Korean arsenal. The clock was ticking! God Of War: The preemptive SK strike on N. Korean forces was a clear military victory, but had terrible political ramifications. Chief among them was the beginning of gradual American disentanglement from the Far East region, and the concurrent rise of Chinese power and influence. When Chinese defense and energy security experts looked at a map, they saw two lines of nations and islands that must be brought under Chinese control. The line runs from Vietnam to Japan and includes the Spratly Islands, Taiwan, the Philippines and the Ryukyu Island chain. The second line runs from northern Japan far south through the Mariana island chains to the eastern Indonesian Islands. Currently China’s rivals and adversaries controlled most of these two lines, which in effect contained China behind a wall of sea and air power. In a twist of historic irony, the first domino on the board was Vietnam. Push: Intelligence collection in the modern world is not always about finding a needle in haystack but rather finding a needle in a pile of needles. The United States and its allies failed to see beyond the Vietnamese attack to greater Chinese ambitions in the Pacific and the looming start of a great war. The first line of defense in the Pacific for the better part of decade was the US submarine force. Despite drawbacks, decommissionings and considerable pull from War on Terror operations worldwide, the US Pacific fleet managed to position forces to act as invisible sentinels able to respond quickly to Chinese aggression and movements. It was the only force largely available and positioned well at war start, and would be regarded historically as the US “ace in the hole” in the critical battles to come. When the PLAN sortied two of its valuable ballistic missile submarines, shadowed as usual by US submarine assets, things took an ominous turn. Salvo: The Chinese leadership was very happy over what had transpired over the last few days. The Vietnamese Airforce and Navy were effectively destroyed, leaving its army to mobilize relatively undefended. While the UN condemned the attack, Vietnamese diplomats were already seeking a peace and way to end “a great misunderstanding of intentions”. They hoped it would at least give the Vietnamese Army time to mobilize and dig in, and at best end the conflict all together. One key Chinese enemy was now removed from the board, and they could now deal with the rest. The consolidation of US forces into a small number of big bases in the western Pacific during the ’90s and ’00s made perfect peacetime economic sense, but against a sophisticated adversary it created a unique vulnerability that had never previously existed. Emerging from the Vietnamese expedition largely unscathed, the Chinese military was now ready to take on its main strategic adversary in the region with a single decisive attack. Nightmares: US, Japanese and South Korean forces had received a devastating blow. A massive, precise Chinese attack was immediately followed up by North Korea with a large rogue strike of its own using a mix of conventional and chemical warheads, in some cases striking bases but in others the population centers around them. Principal installations across the Pacific had been significantly damaged, with hardware destroyed and personnel lost. Civilian loss of life was great in both South Korea and Japan, overwhelming emergency services and hospitals. 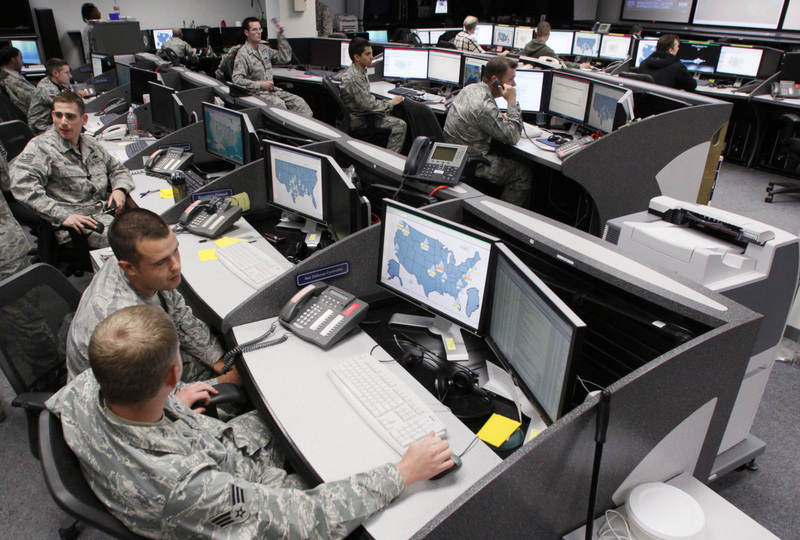 Chinese and North Korean cyber and space forces went into action, causing significant disruption in the US military’s ability to orient, communicate and command its forces. But American forces were down, not out: The US enjoys several unique global power projection capabilities that can be used to rapidly springboard a powerful counter-attack. Many of these forces were already in motion and would turn into the DPRK leadership’s final nightmare. The One-Two Punch: The world’s reaction to a sudden great war between superpowers was extreme. Most national governments retreated to secured bunkers to gather information and assess their positions. Militaries went to high alert and in some cases mobilizations were started. Economic markets sunk to near crash lows and trade came to a halt. Populations clung to social media and broadcast news and in some cases actually celebrated the destruction in the streets. The world order was clearly shaken and nobody knew what it would evolve into. 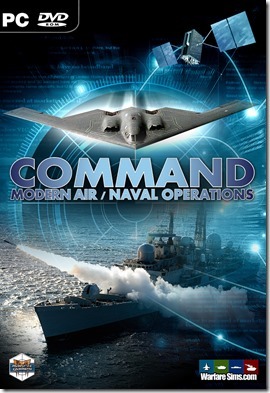 The American military was battered, and cyber- and space attacks had commenced disrupting communications and creating more chaos. In the midst of all this, the US submarine force began sortieing out into the Pacific waters. Okinawa Bound: War had once again come to Okinawa, and its citizens could only watch fires burn uncontrollably at the various bases throughout the island. Chinese and North Korean cyberattacks started before the first-strike missiles reached apogee, and evolved into a pitched battle against US, Japanese and South Korean cyber warriors with no clear victors. The battlegrounds at this point were on critical military networks and infrastructure. Taiwan Blitz: The Okinawa operation was a success. Chinese marines and airborne troops were now in process of restoring basic services to the population and processing significant number of US and Japanese prisoners after winning a hard fought battle. The landings had gone well and the initial land battles were sharp, but having gained air and sea superiority and the arrival of significant follow on forces the Chinese prevailed after three days hard fighting. Japan and the US had lost an important battle and forward position in a lightning war. China’s military was victorious, but had stretched as far as it had ever gone before. It had carried out significant military operations against four nations in a week’s time and was beginning to feel the strain on its resources. The fighting needed to end shortly so forces could dig in, recover and the politicians who now had significant leverage could end the war favorably. One objective was in the way though: Taiwan. Korean Ground Game: The stunning loss of Okinawa and the EMP strike and subsequent bombardment of Taiwan had two major effects. First, it emboldened the remaining DPRK leadership to order a full mobilization to invade the South. They believed the US and its allies to be mortally wounded, and that the opportunity was at hand to invade and “free” the South before enemy forces could recover. Second the US, South Korea and Japan all realized that they could no longer afford to take the first blow. They must strike first and decisively. US , Korean and Japanese air forces had suffered greatly during the missile strikes. 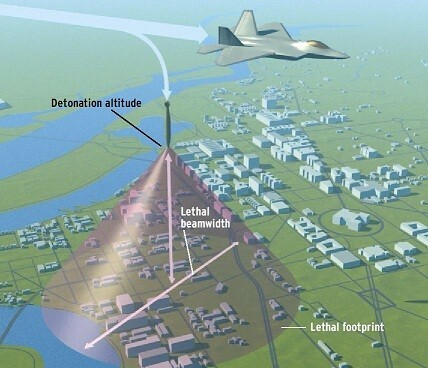 The Chinese relied on more precise missiles that were able to shatter runways, tarmacs and in some cases penetrate hardened shelters. The North Koreans relied on less accurate high explosive missiles but did use chemical warheads in many cases that sickened and killed military and civilian people by the scores. The butcher’s bill was high – but so was the desire to strike back. 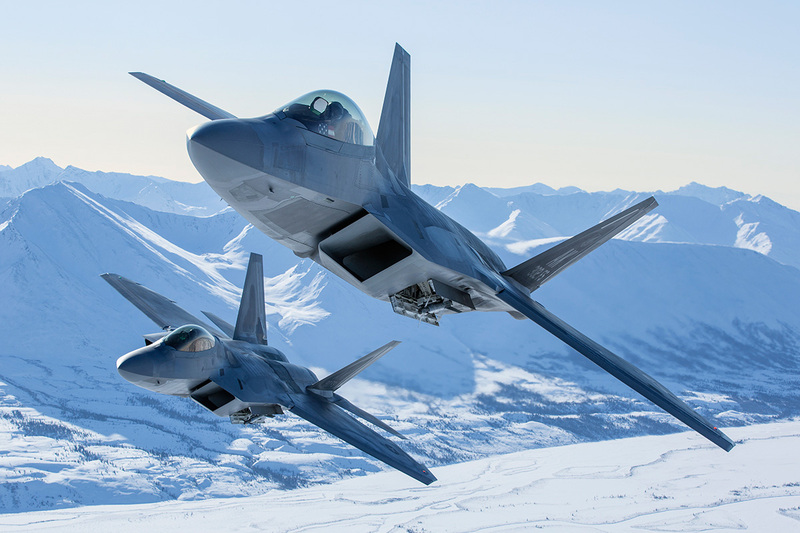 The USAF, ROKAF and JASDF were battered and decimated – yet ready to oblige. Showpieces: The lightning war in Asia had been horrific with great loss of life all around. China had battered Vietnam and Taiwan into submission, captured Okinawa and pushed Japanese and American forces back into defensive positions around the Japanese homeland. A land war had erupted on the Korean peninsula destroying much of Seoul and ensnaring US and South Korean forces. US Carriers were still a week away and the western media was already beating the drum of a lost war. The Chinese government was quick to capitalize and brought forth a highly favorable (to them) peace settlement at the UN. While much of the U.N. supported such an action in hopes of stopping a brutal conflict, the nations that had suffered attack refused and demanded that China stand down and withdraw forces from Okinawa immediately. The US military was facing its greatest challenge since the Second World War. Instant media reporting had created significant pressure to end the conflict as soon as possible, and with few military victories it would do so at a loss. This was unacceptable to the men and women who had lost comrades and the current President of the United States. The tide must be turned. Air-Sea Battle: The sinking of the Chinese carrier was a great victory for the United States and became the high watermark of what the citizens of all the warring nations would calmly persevere. Social and traditional media was delivering an unrelenting stream of the horrors of war on a twenty-four hour basis. Large antiwar movements grew everywhere from Beijing to Washington DC. The pressure was on to end the war. US strategists looked at a map of the Western Pacific and saw their opportunities to do just that. Leveraging the thousand-island environment of the Philippines, a wide network of smaller dispersed bases and airfields, fresh carrier forces newly arriving in-theater and the alliance with Australia, the US was shaping the coalition that would spearhead the final assault at Chinese expeditionary forces. The Chinese leadership and military were intent on holding out on their new possessions, to inflict one final great blow to American forces and then trust that the war-weary American public would force an end to conflict. 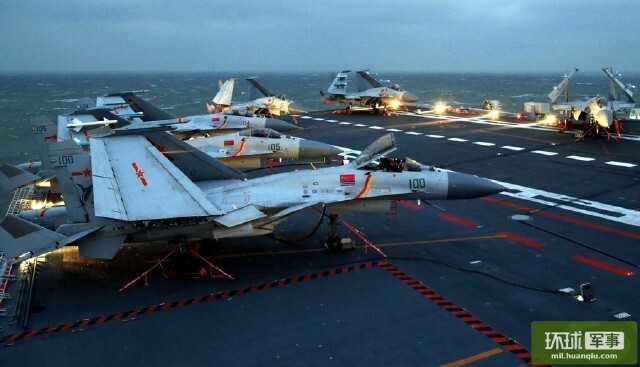 It was well known for decades that the decisive battle would be the Chinese naval strike complex versus surged US carrier groups, and Chinese forces intended to win. It would be the greatest and most decisive battle in Chinese history. Hail Mary: US and Australian forces had not only destroyed most of the valuable infrastructure in the Spratly Islands but moved their forces into the far more secure waters of the Philippine Islands, putting them in range to strike the Chinese homeland and open up bases for the air forces to utilize for strikes. Numerous bases were secretly opened up across the region ready to receive US and AU air power. The Eagles had come to face the Dragon. China however was far from beaten. It had lost its ability to project power past the first chain but still held them, which was one of their big war aims. It still possessed great defensive strength and with US forces now in range of it could now decisively defeat US and Australian naval and air forces in one great decisive battle. Victory would eject the Americans and their allies from the region permanently. The final decisive battle was now at hand. Reds (2005): WWIII kicked off in 1985 and ended after two short months at the threat of a large scale nuclear exchange. Warsaw Pact forces had pushed into West Germany, only to be thrown back to the Polish border. The war ended at the negotiation table. Both sides’ conventional forces had suffered greatly but the battleground states in Europe and Asia were utterly decimated. US forces returned home and began the process of restructuring and rebuilding. The Soviet Union and the Politburo had suffered a near-defeat but managed to maintain its grip on power by what was done at the negotiation table. The population largely believed the conflict was once again started by Germany and the Union was valiantly defended by its men at arms once again. China on the other hand had prospered greatly. Exports boomed as China’s cheap consumer goods covered the gaps left by destroyed industries. But the Chinese Premier and Politburo had greater plans. Corruption within the Soviet system had destroyed a powerful empire and all that was left was a den of beggars and thieves. The people in the Russian Far East were not being served well and would only further suffer in the hands of Moscow. They must be liberated. The second Sino-Soviet Conflict thus began. Armed Diplomacy (1996): China had nearly gone to war with the United States over Taiwan in 1996. Tensions were high as the movement to proclaim Taiwanese independence from the mainland had gained steam due to legislative elections in 1995, and then a Taiwanese presidential election in March 1996 that would choose a new president by popular vote. China and the United States both used visual demonstrations of military force that further escalated the situation. China responded directly to the presidential visit by conducting ballistic missile tests just eighty five nautical miles north of Taiwan in July 1995 into known international shipping lanes, effectively blockading them, and then followed up with naval exercises just northwest of the missiles’ splash zones. In December 1995 China conducted significant air and amphibious assault exercises timed to coincide with, and intimidate, the Taiwanese Parliamentary Election. The United States responded by sending the USS Nimitz carrier battlegroup through the Straits of Taiwan in a show of force. Finally in March 1996, the month of elections, China conducted significant air and naval exercises as well as a missile exercises with splash zones fifty nautical from both of Kaohsiung and Keelung, effectively blockading Taiwan’s largest ports. The United states had responded by sending both the Nimitz and Independence battlegroup to show its resolve in defending Taiwan. Politics Are Local (1958): Tensions between the Republic of China and the Peoples Republic of China in the 1950s resulted in armed conflict over many small islands in the Taiwan Strait. The ROC and PRC both looked at these islands as possible staging points for invasion into each other’s homeland. The PRC bombarded these islands on two separate occasions and the ROC used them to harass shipping and bombard the mainland on numerous occasions. With the global Cold War growing, the United States intervened on behalf of the Republic of China which angered the PRC and started a long history of animosity between the two powers. The historical outcome was several skirmishes and numerous bombardments, but cooler heads prevailed and nuclear war was once again averted. The outcome of this scenario will be quite different. 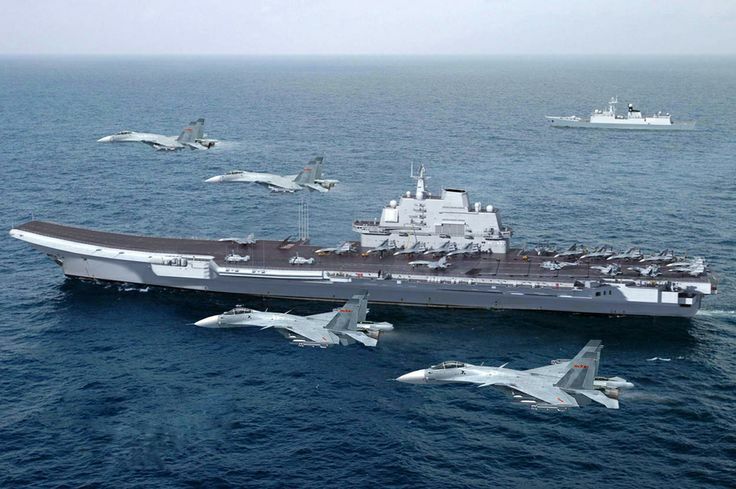 The goal is to help players understand why China perceives American carrier power as a threat to its interests and its limitations in restricted waters. Paracel ’74 Clash (1974): The first notable naval battle conducted by China over an island chain in the South China Sea was against the South Vietnamese over the Paracel Islands in 1974. Seizing the opportunity given by the greater Vietnam War, China landed a small force in the contested Paracel islands to test its claim to the islands. When discovered, the South Vietnamese Army and Navy reciprocated leading to a sharp land skirmish and sea battle. Both sides suffered significant casualties but the Chinese prevailed, winning its claim to the islands. This would soon be superseded by South Vietnam losing the greater Vietnam war, however China and Vietnam would find themselves at general war soon after and then skirmishing over the Spratly Island chains in the late 1980s. It would set a precedent of conflict between the two nations, but also the Chinese will to use military force to back historical claims in the region. This concludes our pre-release coverage of Chains Of War. We hope you will enjoy playing the new scenarios and using the new and improved features as much as we did during development! We also hope that, beyond merely having an entertaining and exciting experience, you will gain a better understanding of the region, the players, the major issues and the stakes. Nations generally do not go to war on a whim, but they frequently cross red lines because they misjudge intentions and capabilities – of their own as well as those of their adversaries & allies. If, after having a blast with Chains Of War, you seek out more authoritative & comprehensive sources (a book, a documentary, your grandfather’s stories from his time in Japan or Korea, anything) to obtain a better insight on the balance in the western Pacific, our job as wargame creators will be done. The public beta phase of the v1.12 update (the companion to the upcoming “Chains Of War” DLC pack) has been concluded, and the “Gold” version is now going through the production paces. We have already covered most of the new major features in the DLC, such as communications disruption, aircraft damage and the new weapon types. Today we are looking at arguably the most anticipated new feature of v1.12: Cargo, amphib and airdrop operations. NOTE: This feature requires Chains Of War to be installed. Faithful representation of landing & airdrop operations was a high user request even back on the early alpha development days of Command. The v1.0 release shipped with a respectable system that combined the new docking-operations ability and the rich new capabilities offered by the powerful event editor (and later Lua), the classic example being along the lines of “once amphib/transport/airdrop vehicle X reaches area/point Y, teleport/spawn unit-Z on the vehicle location to simulate the drop off”. 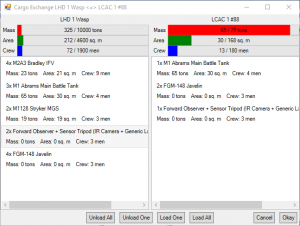 This worked, but was of course limited (for example the player was restricted in which areas he could disembark forces); poaw illustrated the limits of this system hilariously in his not-a-review of CMANO v1.0. We were aware of these restrictions and have been gradually working on “something better”. For transportable units, the volume, weight and crew properties are populated in the databases. 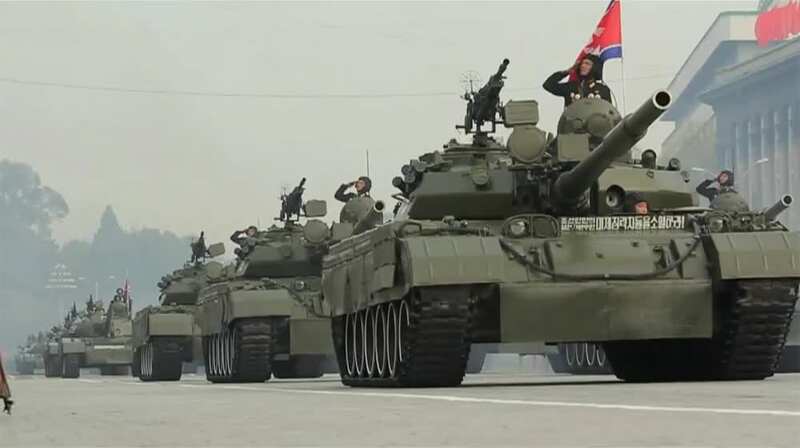 The general type of the unit is also delineated as one of five basic types (personnel teams [Squads, MANPADS, ATGM], small cargo [Car, AAA Guns, light guided weapon], medium cargo [APC, Towed Arty, heavy guided weapon], large cargo [Tank, missile TEL, Trailer], and very large cargo [IRBM / ICBM TEL]). When the time comes to actually start loading, manually or automatically, these properties are cross-checked and either presented to the player as restrictions or obeyed by the crew AI in its decisions as to what to load where. Transfer of units can occur both between one independent unit and another (e.g. personnel from one ship to another), or from a parent host to its hosted unit (e.g. 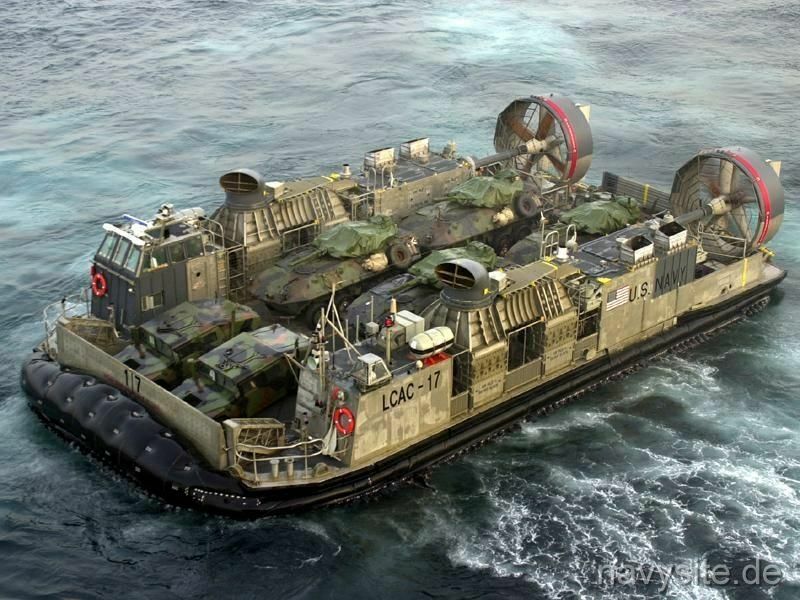 from a pier to a docked ship, or from LPD to hosted LCAC), or from a host unit to any arbitrary point on the map. The loading of able units in suitable hosts, as well as the actual transport from X to Z, can happen in either mission AI-driven mode or with direct player intervention. Like every feature in Command, there is always the option to perform every action manually. Cargo is no different. Pictured below is the interface for exchanging cargo between docked units and their hosts (think: hovercraft in the well-deck of a LHD, or a C-130 at an airbase). So only the micromanagers get to have all the fun? No way! A new class of mission (“cargo mission”) has been added for those who prefer a more “hands off” approach (and of course for the benefit of non-friendly AI sides). Cargo missions are broken down by the units (hovercraft, helicopters, aircraft) assigned to unload, and then by the cargo items themselves. Multiple cargo missions can be assigned to fine-tune the locations where the units are unloaded. The mission progresses in a cycle, the units assigned to the mission load up units from their assigned base – either a ship at sea (LHD, LHA, CV etc) or an airbase – then take off, set course to the mission area reach the mission, then unload, and RTB. This continues until every piece of cargo has been unloaded. One future direction the cargo functionality could move in is allowing weapons to be moved from airbase to airbase by cargo aircraft. An example of this might be an embattled Norwegian airbase in the opening hours of WWIII eating through AMRAAMs like they were candy. Large stocks of AMRAAMs exist in bases in the UK, so let’s pack up 40x AMRAAM on the next C-130 flight heading towards the frontlines. There are quite a few similar use cases and we are open to community feedback as to which cases deserve development priority and why. The “Release Candidate” (ie. public beta) phase of the v1.12 update (the companion to the upcoming “Chains Of War” DLC pack) is wrapping up on the MatrixGames forum. The feedback on the new additions like sonar masking, the new 2x time compression step and much improved 4K/UHD support has been very positive. We have already covered two of the new major features in the DLC, communications disruption and aircraft damage. Today we are looking at some of the new weapon systems introduced in v1.12. 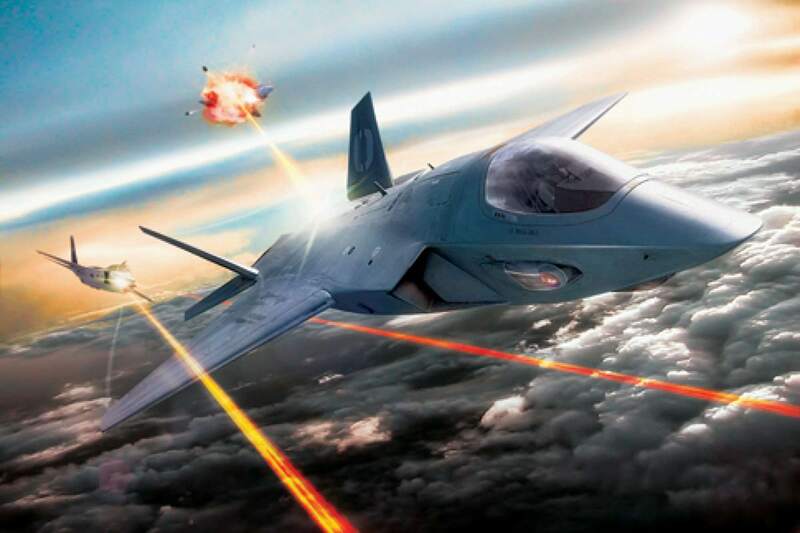 Combat lasers have been on the drawing board and test lab ever since the days of SDI, but advances in materials and engineering are finally enabling their long-awaited breakout in the field. 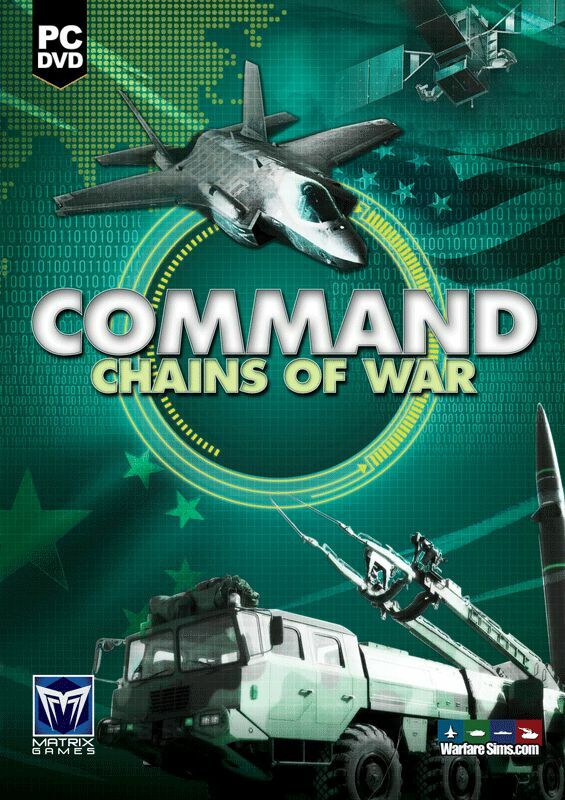 Command has featured two major representative systems from its initial release (the YAL-1 COIL laser and the AN/SEQ-3 LaWS), but for the needs of Chains Of War and the v1.12 update we have undertaken a thorough revamp of the mechanics. As an example of the practical differences, COIL and DF are so-called “chemical” lasers and use magazines of chemical materials to shoot, which need to be replenished just like gun rounds. CO2 and SSL lasers on the other hand replenish their ready-to-fire “magazine” by drawing power directly from their parent platform’s powerplant (no UNREP necessary!). Of course this also means that if the powerplant is not working for any reason, the magazine will be depleted. Each laser type uses different operating wavelengths and this affects both their atmospheric losses and their actual absorption factor by the target surface. HELs bring unique strengths and challenges to the combat environment. For instance, aircraft under attack by HELs do not get any evasion ability at all, since there is no practical delay between shot and impact; the pilots can only pray that the aim itself is defective. 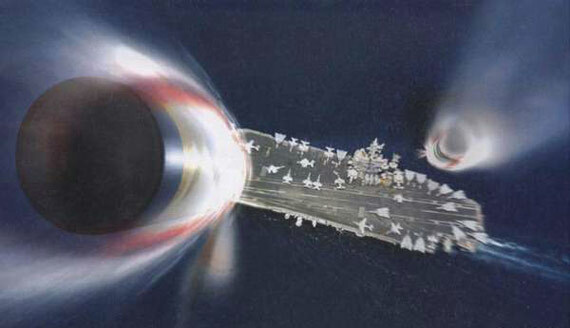 Laser mounts are susceptible to the same accuracy modifiers as unguided weapons like guns and rockets (for example, in a rocky sea a small ship will be a significantly less stable firing platform than a large one), but to a lesser extent thanks to their instant transmission. HELs offer an instant attack on a target at significant range, but their actual on-target delivered power reduces dramatically with distance, even in “ideal” atmospheric conditions (this is part of why the AL-1 ABL was meant to cruise over the clouds). Under bad weather conditions their range shrinks even more, even down to almost nothing. They also need a clear line of sight to work. Despite their tremendous future potential, HELs currently are generally not powerful enough to bring down anything larger than a small drone with one shot. Against aircraft, they somewhat resemble WW2 flak guns: They can shoot down an aircraft, but it usually takes a while to do so. This, incidentally, necessitated the introduction of the improved aircraft damage model. 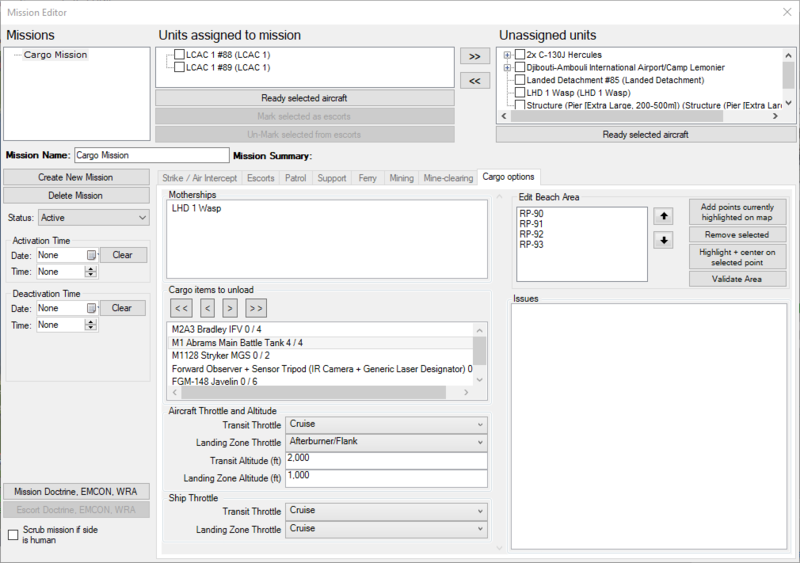 For this reason, scenario authors are encouraged to activate the aircraft damage feature when building a scenario that features AAW-capable HELs; otherwise, these systems may be too overpowered, swatting aircraft out of the sky like flies with single bursts. Railguns are a frequently misunderstood subject with a lot of urban legends and myths floating around. This most excellent primer on Reddit is a good starting point for a quick refresher at the fundamentals. Railguns conceptually are similar to conventional gun rounds. What makes them special are the very high muzzle velocities they can achieve (which directly translate to large absolute range and tremendous impact energy-at-range), and the fact that they use electric rather than chemical/propellant power for the projectile acceleration; combined with the typically smaller projectile weight & volume this allows vast improvements in magazine capacities. A most interesting spinoff of railgun development has been the realization that the high-velocity projectiles (HVPs) that have been developed for railguns can in fact be also adapted/scaled to be fired from current conventional gun systems. This allows spreading the benefits of the new technology on fleet platforms before the proper “full capability” rail mounts reach operational maturity. The latest version of the DB3000 database shipping with the v1.12 update includes the 155mm/52 AGS HVP (used by a new 2018 variant of the DDG-1000 Zumwalt) and the 127mm/62 HVP, fired by a modified Mk45 Mod 4 gun (Mount #3016) suitable for placing on any modern surface combatant. More types will be added as additional systems are introduced into service. Did we mention that these projectiles are pretty fast, and they can punch through some serious armor? Already since the release of v1.09 and Northern Inferno, Command has made it possible to generate a massive electromagnetic pulse through a high-altitude nuclear detonation (GoldenEye! 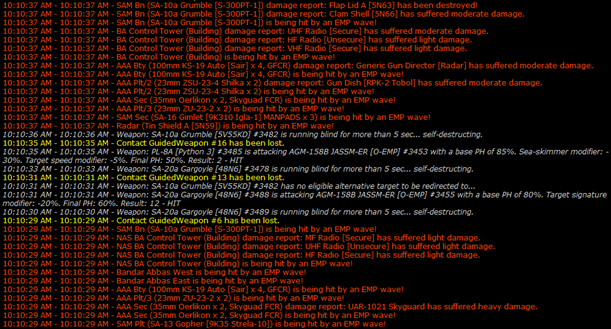 ), with frequently catastrophic effects on exposed platforms and their component sensors and comm systems. Non-nuclear systems producing a more localized variation of the same effect are now gradually entering service, offering new “non-kinetic” disruption capabilities and expanded tactical options. 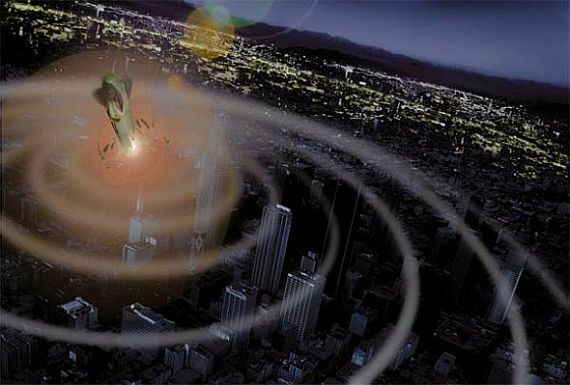 Command models both major variants of tactical EMP warheads; the v1.12 update includes omni-directional systems a.k.a “EMP grenade” types (Directional systems like the USAF-developed CHAMP are available on the Professional Edition). 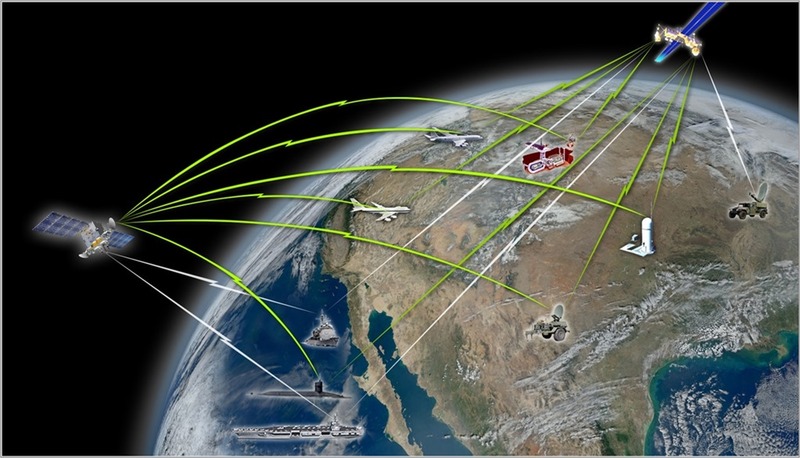 Tactical EMP systems can act as an “trump card” by disrupting a carefully-constructed adversary network; their effect is most profound when they are combined with coordinated electronic attack and communications disruption to completely dislodge the enemy’s plan. They can also be used alone literally as “grenades”, temporarily punching an electronic hole through an otherwise inaccessible strong enemy screen. 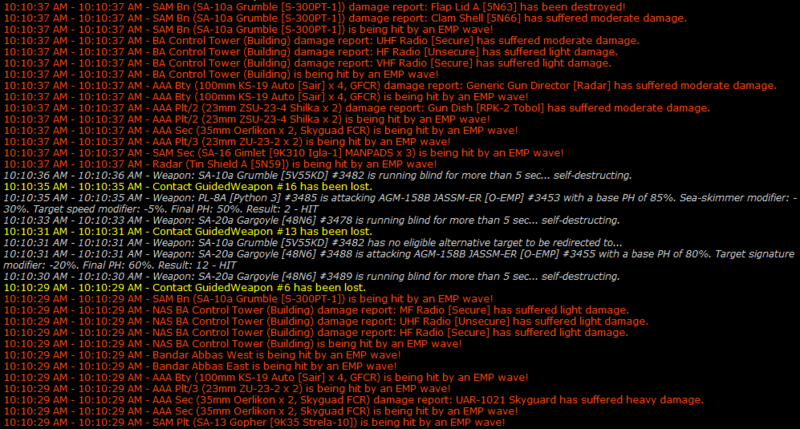 On the receiving end of a tactical-EMP strike. It hurts. Tactical EMPs provide even more flexible solutions to existing tactical problems are we are quite curious to see how experienced players will put them to use. Coming up next: Cargo ops!